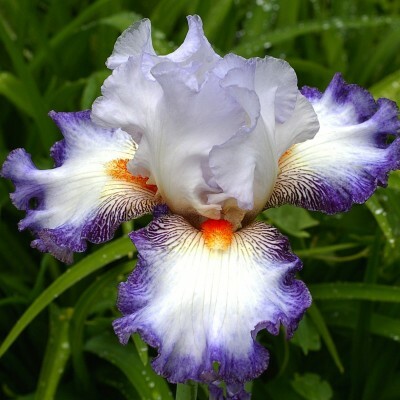 A wonderful bubbling exuberance is evoked by the wavy shape of the flowers. Rosy cream standards and cream falls edged with amethyst. The wide, tufted, coral red beards, are really astonishing. Low branching stems with an average of 8 buds. In short: very original. 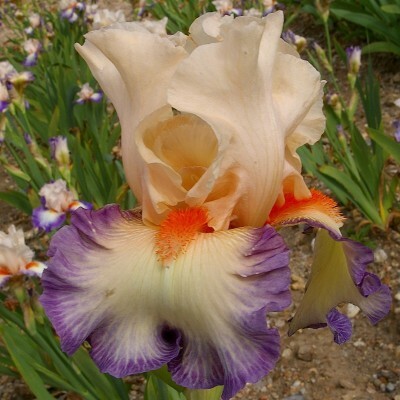 Bred from "Coup de Soleil" this variety has kept its parent's unparalleled brightness. The flowers are of a moderate size but in good proportion to the foliage. 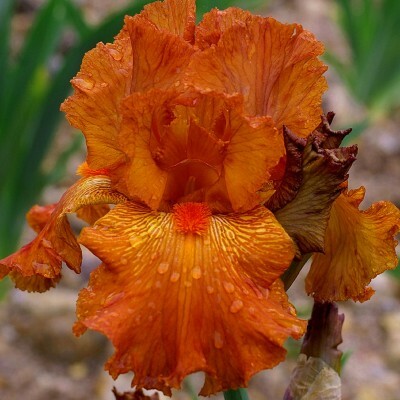 Rich copper red, with fine crimping on the edges and beautiful tangerine beards. Branched stems bearing 8 buds on average. 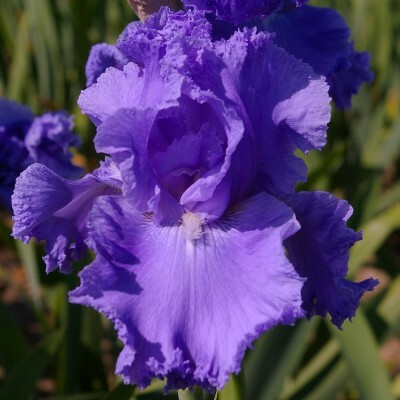 We are honoured that the famous company Hermès has adopted this new iris. One of the favourite Cayeux lineages! 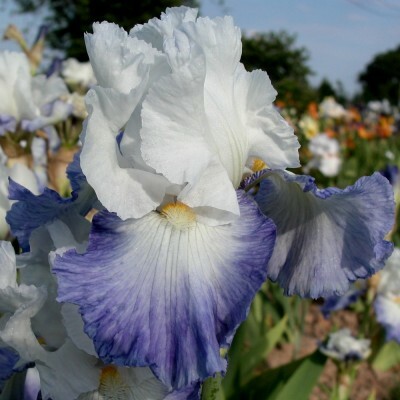 Pure white standards and almost horizontal, white falls with a 7mm wide medium blue-violet border. Red beards. Good stalks carrying 8 buds on average. So pure and classy!